Today only,Save on Photo-Editing Software from Adobe. Photoshop & Premiere Elements 13 lets you easily organize, edit, create, and share photos and videos. Plus - Subscribe to Adobe Creative Cloud Photography plan and receive Amazon Credit. Walgreens - FREE 8X10 Enlargement Print! Now through May 9, Walgreens is offering a FREE 8×10 Enlargement Print when you enter coupon code FREE2PRINT at checkout! Pick this up at your local store to avoid shipping charges! Go here, and click on the offer. Create your 8×10 print and add it to your cart. Enter code FREE2PRINT at checkout. Choose to ship this to your local store to get free shipping! Today only, Amazon is offering select Gift Card Lightning Deals to popular stores and restaurants. These “Lightning Deals” go live at different times throughout the day allowing you to save BIG but usually sell out within minutes! Go here to see all the offers and cash in on the savings! Here's a really HOT deal! Walmart has Kids Character Backpacks on sale for $5 including Frozen, Minnie Mouse, Doc McStuffins, Sofia the First, My Little Pony, Despicable Me and more. Check out see if free in store pick up is available in your area. Otherwise shipping is $4.97 or Free with your $50 purchase. Today ONLY - get 48 GoGo Squeez Organic Apple Mango for $18.99 (Retail $47.92). The leading squeezable, re-sealable, 100% fruit in a pouch. This case of GoGo Squeez Apple Mango comes with 48 packets of easy-open pouches. Your child will love the great taste, and you will love that it is organic, 100% fruit, and free of gluten, dairy, and nuts. -Pouches are resealable - after opening, refrigerate and store it for later. Discard after 24 hours of opening. Looking for a playset? 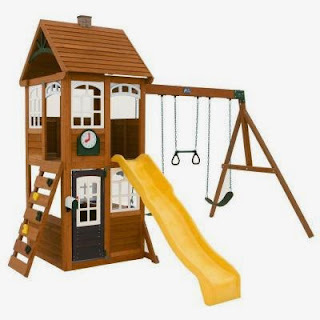 Home Depot is offering Up To 27% Off Select Playsets, Today ONLY!